All diseases and physiological disorders. Pathology (from the Ancient Greek roots of pathos (πάθος), meaning "experience" or "suffering", and -logia (-λογία), "an account of") is a significant component of the causal study of disease and a major field in modern medicine and diagnosis. 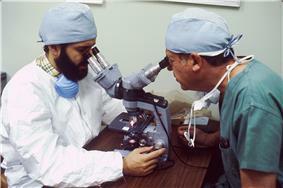 The term pathology itself may be used broadly to refer to the study of disease in general, incorporating a wide range of bioscience research fields and medical practices, or more narrowly to describe work within the contemporary medical field of "general pathology," which includes a number of distinct but inter-related medical specialties which diagnose disease mostly through the analysis of tissue, cell, and body fluid samples. Used as a count noun, "a pathology" (plural, "pathologies") can also refer to the predicted or actual progression of particular diseases (as in the statement "the many different forms of cancer have diverse pathologies"), and the affix path is sometimes used to indicate a state of disease in cases of both physical ailment (as in cardiomyopathy) and psychological conditions (such as psychopathy) . A physician practicing pathology is called a pathologist. As a field of general inquiry and research, pathology addresses four components of disease: cause/renal pathology), and physiological systems (oral pathology), as well as on the basis of the focus of the examination (as with forensic pathology). 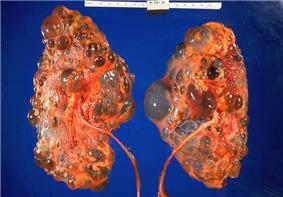 The sense of the word pathology as a synonym of disease or pathosis is very common in health care. The persistence of this usage despite attempted proscription is discussed elsewhere. The study of pathology, including the detailed examination of the body, including dissection and inquiry into specific maladies, dates back to antiquity. Rudimentary understanding of many conditions was present in most early societies and is attested to in the records of the earliest historical societies, including those of the Middle East, India, and China. By the Hellenic period of ancient Greece, a concerted causal study of disease was underway (see Medicine in ancient Greece, with many notable early physicians (such as Hippocrates, for whom the modern Hippocratic Oath is named) having developed methods of diagnosis and prognosis for a number of diseases.The medical practices of the Romans and those of the Byzantines continued from these Greek roots, but, as with many areas of scientific inquiry, growth in understanding of medicine stagnated some after the Classical Era, but continued to slowly develop throughout numerous cultures. Notably, many advances were made in the medieval era of Islam (see Medicine in medieval Islam), during which numerous texts of complex pathologies were developed, also based on the Greek tradition. Even so, growth in complex understanding of disease mostly languished until knowledge and experimentation again began to proliferate in the Renaissance, Enlightenment, and Baroque eras, following the resurgence of the empirical method at new centers of scholarship. By the 17th century, the study of micrography was underway and examination of tissues had led British Royal Society member Robert Hooke to coin the word "cell", setting the stage for later germ theory. The advent of the microscope was one of the major developments in the history of pathology. 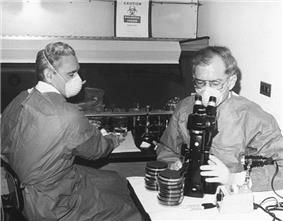 Here researchers at the Centers for Disease Control in 1978 examine cultures containing Legionella pneumophila, the pathogen responsible for Legionaire's disease. Modern pathology began to develop as a distinct field of inquiry during the 19th Century through natural philosophers and physicians that studied disease and the informal study of what they termed “pathological anatomy” or “morbid anatomy”. However, pathology as a formal area of specialty was not fully developed until the late 19th and early 20th centuries, with the advent of detailed study of microbiology. In the 19th century, physicians had begun to understand that disease-causing pathogens, or "germs" (a catch-all for disease-causing, or pathogenic, microbes, such as bacteria, viruses, fungi, amoebae, molds, protists, and prions) existed and were capable of reproduction and multiplication, replacing earlier beliefs in humors or even spiritual agents, that had dominated for much of the previous 1,500 years in European medicine. With the new understanding of causative agents, physicians began to compare the characteristics of one germ’s symptoms as they developed within an affected individual to another germ’s characteristics and symptoms. This realization led to the foundational understanding that diseases are able to replicate themselves, and that they can have many profound and varied effects on the human host. In order to determine causes of diseases, medical experts used the most common and widely accepted assumptions or symptoms of their times, a general principal of approach that persists into modern medicine. A modern pathology lab at the Services Institute of Medical Sciences. The modern practice of pathology is divided into a number of subdisciplines within the discrete but deeply interconnected aims of biological research and Gross pathology). Anatomical pathology (Commonwealth) or anatomic pathology (United States) is a medical specialty that is concerned with the diagnosis of disease based on the autopsy). Anatomical pathology is itself divided into subfields, the main ones being surgical pathology, cytopathology, and forensic pathology. Anatomical pathology is one of two main divisions of the medical practice of pathology, the other being clinical pathology, the diagnosis of disease through the laboratory analysis of bodily fluids and tissues. 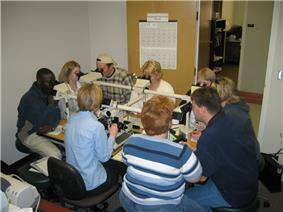 Sometimes, pathologists practice both anatomical and clinical pathology, a combination known as general pathology. 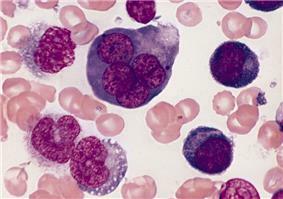 A bone marrow smear from a case of erythroleukemia showing a multinucleated erythroblast with megaloblastoid nuclear chromatin. Cytopathology (sometimes referred to as "cytology") is a branch of pathology that studies and diagnoses diseases on the cellular level. It is usually used to aid in the diagnosis of cancer, but also helps in the diagnosis of certain infectious diseases and other inflammatory conditions as well as thyroid lesions, diseases involving sterile body cavities (peritoneal, pleural, and cerebrospinal), and a wide range of other body sites. Cytopathology is generally used on samples of free cells or tissue fragments, in contrast to histopathology, which studies whole tissues and cytopathologic tests are sometimes called smear tests because the samples may be smeared across a glass microscope slide for subsequent staining and microscopic examination. However, cytology samples may be prepared in other ways, including cytocentrifugation. Different types of smear tests may also be used for cancer diagnosis. In this sense, it is termed a cytologic smear. Dermatopathology is a subspecialty of anatomic pathology that focuses on the skin and the rest of the dermatopathologist denotes either of these who has reached a certainly level accreditation and experience; in the USA, either a general pathologist or a dermatologist can undergo a 1 to 2 year fellowship in the field of dermatopathology. The completion of this fellowship allows one to take a subspecialty board examination, and becomes a board certified dermatopathologist. Dermatologists are able to recognize most skin diseases based on their appearances, anatomic distributions, and behavior. Sometimes, however, those criteria do not allow a conclusive diagnosis to be made, and a skin biopsy is taken to be examined under the microscope using usual histological tests. In some cases, additional specialized testing needs to be performed on biopsies, including immunofluorescence, immunohistochemistry, electron microscopy, flow cytometry, and molecular-pathologic analysis. One of the greatest challenges of dermatopathology is its scope. More than 1500 different disorders of the skin exist, including cutaneous eruptions ("rashes") and neoplasms. Therefore, dermatopathologists must maintain a broad base of knowledge in clinical dermatology, and be familiar with several other specialty areas in Medicine. Forensic pathology focuses on determining the cause of death by post-mortem examination of a corpse or partial remains. An autopsy is typically performed by a coroner or medical examiner, often during the criminal law investigations; in this role, Coroners and medical examiners are also frequently asked to confirm the identity of a corpse. The requirements for becoming a licensed practitioner of forensic pathology varies from country to country (and even within a given nation) but typically a minimal requirement is a medical doctorate with a specialty in general or anatomical pathology with subsequent study in forensic medicine. The methods utilized by forensic scientists to determine death include examination of tissue specimens in order to identify the presence or absence of natural disease and other microscopic findings, interpretations of toxicology on body tissues and fluids to determine the chemical cause of overdoses, poisonings or other cases involving toxic agents, and the examinations of physical trauma. Forensic pathology is a major component in the trans-disciplinary field of forensic science. Histopathology refers to the microscopic examination of various forms of formalin, although frozen section fixing is also common. To see the tissue under a microscope, the sections are stained with one or more pigments. 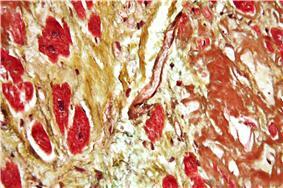 The aim of staining is to reveal cellular components; counterstains are used to provide contrast. Histochemistry refers to the science of using chemical reactions between laboratory chemicals and components within tissue. The histological slides are then interpreted diagnostically and the resulting pathology report describes the histological findings and the opinion of the pathologist. In the case of cancer, this represents the tissue diagnosis required for most treatment protocols. Neuropathology is the study of disease of nervous system tissue, usually in the form of either small surgical biopsies or sometimes whole brains in the case of autopsy. Neuropathology is a subspecialty of anatomic pathology, neurology, and neurosurgery. 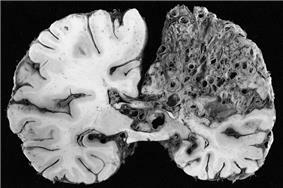 In many English speaking countries neuropathology is considered a subfield of anatomical pathology. In contrast, there are a number of independent university chairs in neuropathology and even institutes of neuropathology in German speaking countries due to a different historical background. A physician who specializes in neuropathology, usually by completing a fellowship after a residency in anatomical or general pathology, is called a neuropathologist. In day-to-day clinical practice, a neuropathologist is a consultant for other physicians. If a disease of the nervous system is suspected, and the diagnosis cannot be made by less invasive methods, a biopsy of nervous tissue is taken from the brain or spinal cord to aid in diagnosis. Biopsy is usually requested after a mass is detected by medical imaging. With autopsies, the principal work of the neuropathologist is to help in the post-mortem diagnosis of various conditions that affect the central nervous system. 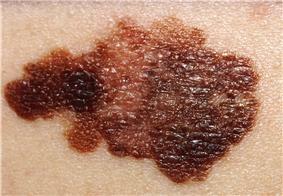 Biopsies can also consist of the skin. Epidermal nerve fiber density testing (ENFD) is a more recently developed neuropathology test in which a punch skin biopsy is taken to identify small fiber neuropathies by analyzing the nerve fibers of the skin. This test is becoming available in select labs as well as many universities; it replaces the traditional nerve biopsy test as less invasive. Pulmonary pathology is the subspecialty of anatomic (and especially surgical) pathology which deals with the diagnosis and characterization of neoplastic and non-neoplastic diseases of the lungs and thoracic pleura. Diagnostic specimens are often obtained via bronchoscopic transbronchial biopsy, CT-guided percutaneous biopsy, or video-assisted thoracic surgery. These tests can be necessary to diagnose between infection, inflammation, or fibrotic conditions. Renal pathology is a subspecialty of anatomic pathology that deals with the diagnosis and characterization of disease of the transplant surgeons, who typically obtain diagnostic specimens via percutaneous renal biopsy. The renal pathologist must synthesize findings from traditional microscope histology, electron microscopy, and immunofluorescence to obtain a definitive diagnosis. Medical renal diseases may affect the glomerulus, the tubules and interstitium, the vessels, or a combination of these compartments. 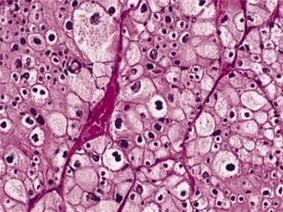 There are two major types of specimens submitted for surgical pathology analysis: biopsies and surgical resections. A biopsy is a small piece of tissue removed primarily for the purposes of surgical pathology analysis, most often in order to render a definitive diagnosis. 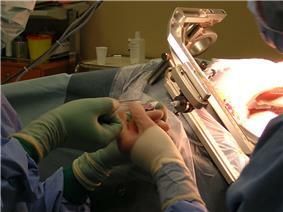 Types of biopsies include core biopsies, which are obtained through the use of large-bore needles, sometimes under the guidance of radiological techniques such as ultrasound, CT scan, or magnetic resonance imaging. Incisional biopsies are obtained through diagnostic surgical procedures that remove part of a suspicious lesion, whereas excisional biopsies remove the entire lesion, and are similar to therapeutic surgical resections. Excisional biopsies of skin lesions and gastrointestinal polyps are very common. The pathologist's interpretation of a biopsy is critical to establishing the diagnosis of a benign or malignant tumor, and can differentiate between different types and grades of cancer, as well as determining the activity of specific molecular pathways in the tumor. Surgical resection specimens are obtained by the therapeutic surgical removal of an entire diseased area or organ (and occasionally multiple organs). These procedures are often intended as definitive surgical treatment of a disease in which the diagnosis is already known or strongly suspected, but pathological analysis of these specimens remains important in confirming the previous diagnosis. ^ "Definition of -path in English". Oxford English Dictionary. OED. Retrieved 12 October 2013. ^ Robbins, Stanley (2010). Robbins and Cotran pathologic basis of disease. (8th ed. / ed.). Philadelphia: Saunders/Elsevier. ^ Long, Esmond (1965). History of Pathology. New York: Dover. pp. 1+. ^ "Commentary on the Chapter Nine of the Book of Medicine Dedicated to Mansur — Commentaria in nonum librum Rasis ad regem Almansorem". World Digital Library (in Latin). 1542. Retrieved 2014-03-02. ^ King, Lester (1991). Transformations in American Medicine: From Benjamin Rush to William Osler. Baltimore: Johns Hopkins UP. pp. 27+. ^ Machevsky, Alberto; Wick, MR (2004). "Evidence-based Medicine, Medical Decision Analysis, and Pathology". Human Pathology 35 (10): 1179–88. ^ Rothstein, William G. (1979). "Pathology: The Evolution of a Specialty in American Medicine". Medical Care 17 (10): 975+. ^ Lett D (July 2007). "National standards for forensic pathology training slow to develop". CMAJ 177 (3): 240–1. ^ Wilson LB. (1905). "A method for the rapid preparation of fresh tissues for the microscope.". J Am Med Assoc 45: 1737. ^ Harris TJ, McCormick F. (2010). "The molecular pathology of cancer". Nat Rev Clin Oncol 7 (5): 251–265. ^ Cai, H; Caswell JL; Prescott JF (March 2014). "Nonculture Molecular Techniques for Diagnosis of Bacterial Disease in Animals: A Diagnostic Laboratory Perspective". Veterinary Pathology 51 (2): 341–350. ^ Neville BW, Damm DD, Allen CA, Bouquot JE. (2002). Oral & maxillofacial pathology (2nd ed.). Philadelphia?page=ix (preface): W.B. Saunders. ^ "Types of Oncologists". Cancer.Net : American Society of Clinical Oncology (ASCO). Retrieved 25 May 2013. ^ Rollin, Bernard E. (2006). "The Regulation of Animal Research and the Emergence of Animal Ethics: A Conceptual History". Theoretical Medicine and Bioethics 27 (4): 285–304. Although the pathogens and their mechanics differ greatly from those of animals, plants are subject to a wide variety of diseases, including those caused by phytoplasmas, protozoa, nematodes and other species of plant that are parasitic. Damage caused by insects, mites, vertebrate, and other small herbivores is not considered a part of the domain of plant pathology. The field is deeply connected to plant disease epidemiology and the horticulture of species which are of high importance to human diet or other uses. 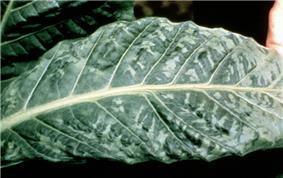 A tobacco plant infected with the tobacco mosaic virus. Veterinary pathology covers a vast array of species, but with a significantly smaller number of practitioners, so understanding of disease in non-human animals, especially as regards veterinary practice, varies considerably by species. Nonetheless, significant amounts of pathology research are conducted on animals, for two primary reasons: 1) The origins of diseases are typically zoonotic in nature, and many infectious pathogens have animal vectors and, as such, understanding the mechanisms of action for these pathogens in non-human hosts is essential to the understanding and application of epidemiology and 2) those animals which share physiological and genetic traits with humans can be used as surrogates for the study of the disease and potential treatments as well as the effects of various synthetic products. For this reason, as well as their roles as livestock and companion animals, mammals generally have the largest body of research in veterinary pathology. Animal testing remains a controversial practice, even in cases where it is used to research treatment for human disease. In regular veterinary practice, veterinary pathology mimics the major division of testing into anatomical and clinical pathology present in medical pathology. 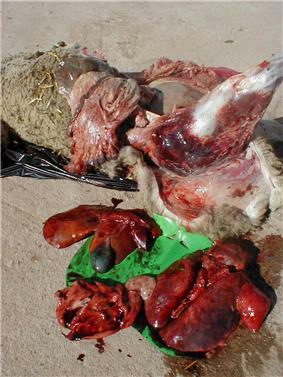 This field post-mortem of an ewe has revealed lesions consistent with acute haemolytic pneumonia, possibly due to Pasteurella haemolytica. Psychopathology is the study of mental illness, particularly of severe disorders. Informed heavily by both psychology and neurology, its purpose is to classify mental illness, elucidate its underlying causes, and guide clinical psychiatric treatment accordingly. Although diagnosis and classification of mental norms and disorders is largely the purview of psychiatry—the results of which are guidelines such as the Diagnostic and Statistical Manual of Mental Disorders, which attempt to classify mental disease mostly on behavioural evidence, though not without controversy—the field is also heavily, and increasingly, informed upon by neuroscience and other of the biological cognitive sciences. Mental or social disorders or behaviours which are seen to be generally unhealthy or excessive in a given individual to the point where they cause harm or severe disruption to the sufferer's lifestyle are often given the handle of "pathological" (e.g. pathological gambling or pathological liar). Medical imaging is the process of generating visual representations of the interior of a body for clinical analysis and medical intervention, for the purpose of revealing details internal physiology in order to plan appropriate treatments for tissue infection and trauma. Medical imaging is also central in supplying the biometric data necessary to establish baseline features of anatomy and physiology so as to increase the accuracy with which early or fine-detail abnormalities are detected. These diagnostic techniques are often performed in combination with general pathology procedures and are themselves often essential to developing new understanding of the pathogenesis of a given disease and tracking the progress of disease in specific medical cases. Examples of important subdivisions in medical imaging include incorporates radiology which uses the imaging technologies of X-ray radiography, magnetic resonance imaging, medical ultrasonography or ultrasound, endoscopy, elastography, tactile imaging, thermography, medical photography, nuclear medicine functional imaging techniques such as positron emission tomography. Though they do not strictly relay images, readings from diagnostics tests involving electroencephalography, magnetoencephalography, and electrocardiography and give hints as the state and function of certain tissues in the brain and heart respectively. Although separate fields in terms of medical practice, there are a number of areas of inquiry in medicine and medical science which either overlap greatly with general pathology, work in tandem with it, or which contribute significantly to the understanding of the pathology of a given disease or its course in an individual. As a significant portion of all general pathology practice is concerned with cancer, the practice of oncology is deeply tied to, and dependent upon, the work of both anatomical and clinical pathologists. Biopsy, resection and blood tests are all examples of pathology work that is essential for the diagnoses of many kinds of cancer and for the staging of cancerous masses. In a similar fashion, the tissue and blood analysis techniques of general pathology are of central significance to the investigation of serious infectious disease and as such inform significantly upon the fields of epidemiology, etiology, immunology, and parasitology. General pathology methods are of great importance to biomedical research into disease, wherein they are sometimes referred to as "experimental" or "investigative" pathology. A chromophobe renal cell carcinoma viewed on a hematoxylin & eosin stained slide,an example of histology being used to provide a firm diagnosis in the practice of oncology. In France, Pathology is separate in two distinct specialties, anatomical pathology and clinical pathology. Residencies for both lasts four years. Residency in anatomical pathology is open to physicians only, while clinical pathology is open to both physicians and pharmacists. Anatomical pathology in France is integrated in the internal medicine specialty track. At the end of the second year of clinical pathology residency, residents can choose between general clinical pathology and a specialization in one of the disciplines, but they can not practice anatomical pathology, nor can anatomical pathology residents can not practice clinical pathology. In the United Kingdom, pathologists are medical doctors licensed by the UK General Medical Council. The training to become a pathologist is under the oversight of the Royal College of Pathologists. After four to six years of undergraduate medical study, trainees proceed to a two year foundation program. Full-time training in histopathology currently lasts between five and five and a half years and includes specialist training in surgical pathology, cytopathology, and autopsy pathology. It is also possible to take a Royal College of Pathologists diploma in forensic pathology, dermatopathology, or cytopathology, recognising additional specialist training and expertise and to get specialist accreditation in forensic pathology, pediatric pathology, and neuropathology. All postgraduate medical training and education in the UK is overseen by the General Medical Council. Molecular pathology is focused upon the study and diagnosis of disease through the examination of molecules within organs, tissues or bodily fluids. Molecular pathology is multidisciplinary by nature and shares some aspects of practice with both anatomic pathology and clinical pathology, molecular biology, biochemistry, proteomics and genetics. It is often applied in a context that is as much scientific as directly medical and encompasses the development of molecular and genetic approaches to the diagnosis and classification of human diseases, the design and validation of predictive biomarkers for treatment response and disease progression, and the susceptibility of individuals of different genetic constitution to develop disorders. The crossover between molecular pathology and epidemiology is represented by a related field "molecular pathological epidemiology". 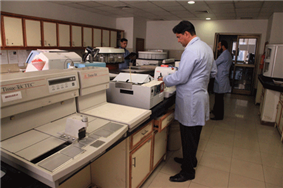 Molecular pathology is commonly used in diagnosis of cancer and infectious diseases. Techniques are numerous but include quantitative polymerase chain reaction (qPCR), multiplex PCR, DNA microarray, in situ hybridization, DNA sequencing, antibody based immunofluorescence tissue assays, molecular profiling of pathogens, and analysis of bacterial genes for antimicrobial resistance. Hematopathology is the study of diseases of blood cells (including constituents such as bone marrow, the lymph nodes, thymus, spleen, and other lymphoid tissues. In the United States, hematopathology is a board certified subspecialty (licensed under the American Board of Pathology) practiced by those physicians who have completed general pathology residency (anatomic, clinical, or combined) and an additional year of fellowship training in hematology. The hematopathologist reviews biopsies of lymph nodes, bone marrows and other tissues involved by an infiltrate of cells of the hematopoietic system. In addition, the hematopathologist may be in charge of flow cytometric and/or molecular hematopathology studies. 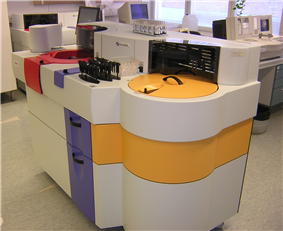 Clinical chemistry: an automated blood chemistry analyzer.